The World Series of Poker is in full swing and just before the tournament series got underway we were treated with a new SrslySirius song/video, this one ringing in the 2012 WSOP in the way only SrslySirius could do. So before we get into what is going at the World Series of Poker take a look at SrslySirius’ new song titled WSOP Ho: I feel this is his best offering to date, which is saying something since I really like several of his songs! With the rest of the tournament schedule winding down across the globe I thought I’d take a look at a few of the red-hot players, who have been tearing up the tournament trail this year, or recently hit a big score allowing them to play whatever WSOP events they choose. Keep an eye on all of these players at the 2012 WSOP. The WSOP is officially underway as 732 players registered for the $500 Casino Employees Tournament, which has been a WSOP staple since 2000, and has kicked off all but two WSOP tournament series in that time period. The winner of the tournament will receive over $70,000, while the runner-up will be rewarded with just over $43,000. Among the entrants in the tournament (which is open to anyone who can prove they are a casino employee somewhere) were the WSOP’s own Ty Stewart; tournament director extraordinaire Matt Savage; Karina Jett (who works for a local Las Vegas casino; as well as familiar poker personalities Marie Lizette Acoba, Annie LePage, Brett Collson and Sean Drake. In addition to the conclusion of the two-day $500 Casino Employee tournament, Memorial Day at the WSOP will also include the start of the first $1,500 No Limit Holdem Event. 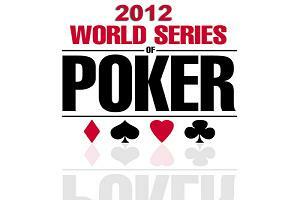 Event #2 $1,500 NLHE, will be a three-day tournament and will be the first open-bracelet awarded at the 2012 WSOP. On Tuesday the WSOP gets into high-gear as two more tournaments will be in action, as well as Day 2 of the $1,500 NLHE event. As the WSOP progresses we will be bringing you all of the big stories in their own feature articles, while our WSOP Notebook column will be used for the wilder stories from the WSOP, as well as featuring some commentary from WSOP participants. This entry was posted on Monday, May 28th, 2012 at 9:25 am and is filed under Poker News. You can follow any responses to this entry through the RSS 2.0 feed. You can leave a response, or trackback from your own site.